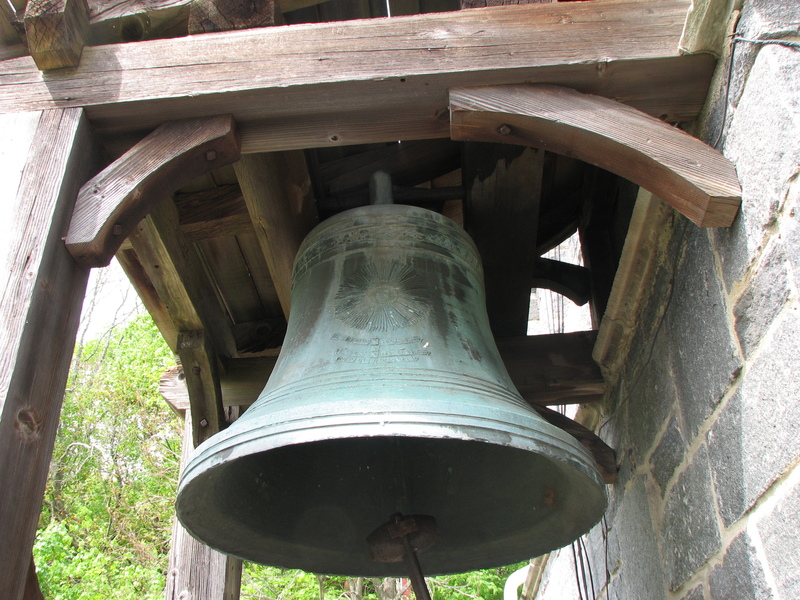 From the former Olcott House, drive or walk about 1/10 mile toward the golden spire of the Norwich City Hall [100 Broadway], and park on the street or in the lot adjacent to the church. 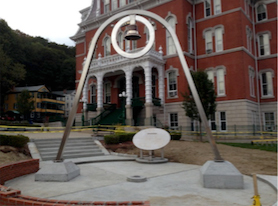 Above the plaza on the Broadway side of the magnificent building, a shiny stainless steel archway, from which a bronze bell is suspended at the center, designates the site of the Freedom Bell at the David Ruggles Freedom Plaza. 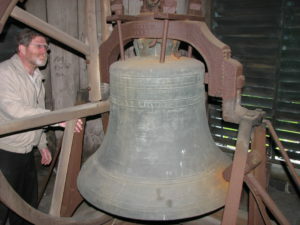 Smelted and cast in Norwich, and installed in 2013 [the 150th Anniversary of President Lincoln’s “Emancipation Proclamation”], the bell commemorates the hour-long ringing of bells throughout the City Of Norwich on New Year’s Day, 1863, to mark the enactment of Mr. Lincoln’s proclamation. 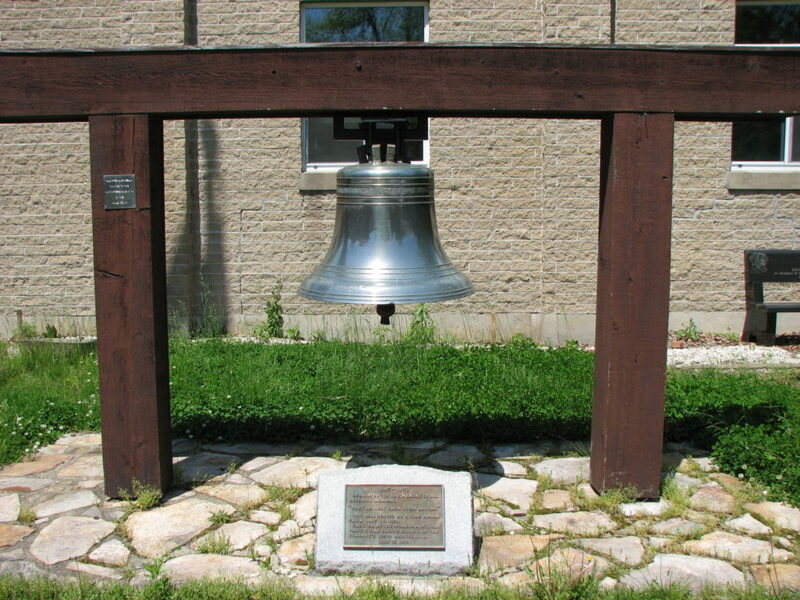 Below are photos of three bells that were undoubtedly among those that were rung in Norwich on January 1, 1863 to celebrate the Emancipation Proclamation. [L-1st Congregational Church (1826); R-Fount of Salvation Missionary Church …formerly the United Universalist Church on Broadway (ca.1830). Below-Yantic Engine Co. Number 1 (1844)]. Photos courtesy Of David Oat.